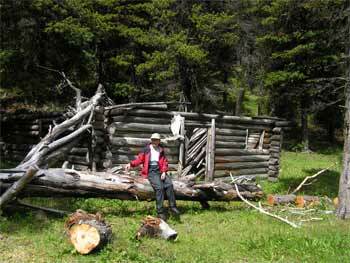 First Nations people have occupied the Southern Chilcotin Mountains (SCM) for thousands of years. Some of the main trails here are believed to have originated with these peoples. 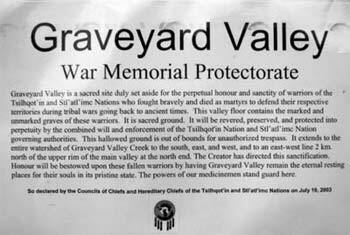 Likewise, the gravesites located in Graveyard valley attest to their presence. 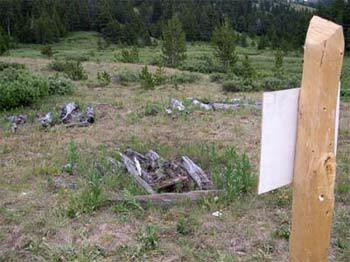 It is believed that these are the graves of Tsilhqot’in (Chilcotin) and St’at’imc (Lillooet) warriors who fought and died here during tribal wars of the past. First Nations people still travel through this area today. The onslaught of the foreigners began with those looking for gold and ranchland. The original miners found little here to keep them but later, exploration discovered the Bralorne and Pioneer ore bodies which when combined went on to become the richest gold and silver mine in Canada over the period of 1932-1971. Other much smaller ore bodies were discovered and worked within the South Chilcotins and their remains can still be seen today in the Taylor, Eldorado and Taseko drainages. 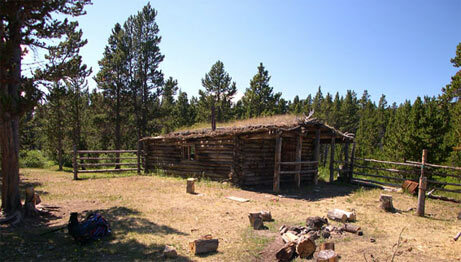 Taylor Cabin and several collapsed cabins in the upper Taylor basin are remnants of the past mining activity. Some small mercury workings once existed in the E portion of the map area but little remains of these can be found. Much gold exploration work (including road building) occurred in the Taseko River drainage – one example being the Battlement Creek area just W of Iron Pass. 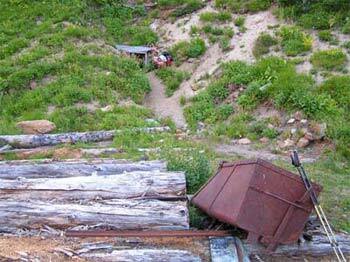 The Taylor Windfall Mine, discovered in 1920, operated in this area from 1932-1953. Exploration of the upper Relay Creek area in the 1980s gave rise to the rough roads/tracks which are used today to access Dash Plateau. The campsite used today, just off Relay Ck Rd near to these roads/tracks, was the exploration camp. Some drill core is still scattered about at this site. Outfitting began with individuals providing horses, guiding and portage of supplies and equipment to the miners. With time this shifted to hunters which was more seasonal. Outfitting for tourism began in the 1950s which helped occupy the quieter summer months. Chilco Choate was a colorful sort who did just this and who also wrote about his exploits. Chilco worked mainly the N portion of the map area which became Big Creek Provincial Park in 1995. Today, Chilco still lives in his Gaspard Lake cabin. His book ‘Unfriendly Neighbours’ is a recommended read (although keep in mind this is one side of the story). In the S portion of the map area, calls for preservation began in 1930’s. Due to the mining and logging interests here, the controversy and discussions dragged on for many years. In 2001, the provincial NDP government finally set the boundaries and began the process to preserve this area as a provincial park. Two large parks reside here: the South Chilcotin Mountains Park (which exists within the Spruce Lake Protected Area) and Big Creek Provincial Park. However, large portions of Slim Creek, Taylor Creek and Paradise Creek drainages will be protected from logging but will be open to mining activity. – “MINFILE Search page”. Ministry of Energy, Mines and Petroleum Resources. [cited June 20, 2006]. – Church, B.N. and Jones, L.D. “Metallogeny of the Bridge River Mining Camp (092J10, 15 & 092O02)”. Jan 1999. Ministry of Energy, Mines and Petroleum Resources. [cited June 27, 2006]. – Mitchell, Bruce. “Chronology of the Gang Ranch”. [cited May 10, 2006]. – “South Chilcotin Provincial Park” and “Big Creek Provincial Park”. BC Parks. [cited July 15, 2006].